Mancunians Rugby League that is. The amateurs from the second city have become the second rugby league club in the northwest (to my knowledge) to establish a handball arm. They follow the lead of the slightly better known Warrington Wolves. Handball Views caught up with Mancunians RL to find out more about why they’ve chosen to play handball and what they make of the game. Handball Views: Firstly, tell us a bit about yourselves. You’re a rugby league club that’s added a handball section which makes you a bit like a European-model sports club. Why the move into handball in particular? HV: What’s been the level of interest so far? SG: The interest has far exceeded our targets. We’ve had a great deal of interest from the local community and players within the club. Many who’ve seen the sport at the Olympics and thought ‘I’d like to give that a go!’ We launched two weeks ago and already now have nearly 40 adults signed up to join. We’re going to be based at a local school which has Handball on the curriculum for every year group so we expect the level of interest to grow further once school term starts. HV: What are your expectations for the club at this stage? Are you looking to build teams to win titles or casual sides to keep people fit? Or a bit of both? SG: I wouldn’t say we’re expecting to win anything. Our main focus is to develop a junior team in the City and build things up from that. Also, from the interest we’ve seen from our sign up form it looks like we’ll be able to promote provision aimed at beginner adult players – similar to our promotion of touch rugby. We’ll be running an after school club for school aged young people and adult sessions later in the evening. HV: Handball can be seen as the break-out sport of the Olympics. Did the level of interest surprise you and what do you think the prospects are for handball in this country? SG: Surprisingly the interest in the sport didn’t shock us – it’s a fast and high scoring game available for everyone and anyone. With the success of Team GB at Olympics more people were going to get involved in more sport and if we’re helping the community engage in Handball, then surely this is good. This can only be great in the long term for the sport. 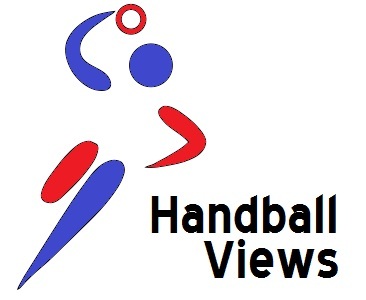 HV: Finally, if people want to find out more about handball at Mancunians RL who should they contact? Thanks for talking to us and all the best for the future!